Greetings and best wishes to all of you. I extend a very warm welcome to all the students aspiring to join our prestigious Institution for their graduate and postgraduate studies. Shridevi Institute of Medical Sciences & Research Hospital, Sira Road, Tumkur, Karnataka, is becoming one of the best teaching and research institutions in the country, which is recognized by the Medical Council of India during 2013. We have an intake of One hundred and fifty MBBS students per year. Our newly built research hospital is have four Operation Theaters with ample super-specialty OPDs among other highly sophisticated facilities for quality patient care. Our excellent infrastructure includes CT Scan, MRI machines, Colour Doppler, Dialysis units besides the usual Operation Theatres, ICUs, and very well equipped Laboratories. Facilities exist for specialized investigations like Mammography, various Endoscopies, Blood gas analysis and a host of other sophisticated tests. Our library boasts of the latest Journals and Periodicals, Internet facilities and an air-conditioned environment conducive to learning. Our strength lies in a team of highly qualified and experienced faculty, ably supported by an equally dedicated staff. This is taking the college to new heights and putting it on the world map. Our students are even being selected to present scientific papers at the national level. Besides these academic activities, our Outreach Programmes hold medical camps in the rural areas serving the poor and weaker sections of the society. This fulfills the dream of our Founder President, Dr. M. R. Hulinaykar to utilize this college to serve mankind. With his dynamic personality, enthusiasm and encouragement our Chancellor has added a thrust to medical research and the College is well on its way to making mark as a world-class Institution of learning, research and high-quality patient care. I wish all aspirants the best in their career and much happiness and peace in life and congratulate those who get admitted into the hallowed precincts of this incomparable Institution. We at SIMS & RH work and live as a family and hope for coming student's stay with us will be comfortable, fruitful and memorable. 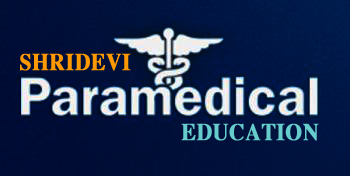 Shridevi Institute of Medical Sciences & Research Hospital.